At the keynote speech at GitHub Universe this year, CEO Chris Wanstrath reminded the audience that the first code was committed to GitHub in 2007, just nine years ago. I got lost thinking about how much this one company has changed the face of tech and wondered what else has changed since then. As Bill Gates said, “Most people overestimate what they can do in one year and underestimate what they can do in ten years.” So just what have we done in 10 years? Think back to a time to December 31, 2006. You sneak a peek at your MySpace page at work and find another of your friends is now on something called Facebook. There are rumors that Steve Jobs is going to release a PHONE! You laugh with your colleagues over his hubris. What tech company would build a phone? YouTube, just two years old is taking up more of your time, and you love the videos unimpeded by advertising. Surely this is what the Internet was meant for! You have no idea how your life is going to change in the next year. A hell of a lot, as it turns out. The list of technologies launched in 2007 is staggering. The iPhone created a global frenzy. 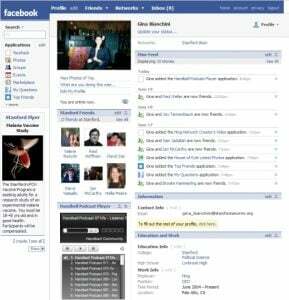 Facebook came out of high schools and universities in late 2006 and went global in 2007. Twitter launched. GitHub, Hadoop, Android, and AirBnB appeared. YouTube launches embedded inline advertising, Google Office is ready for business, and the API era started growing fast circa 2007. Microfinancing became a serious thing: Kiva.org, started in 2005, topped five million dollars in loans in 2007 and branched into agricultural loans. Kiva.org exploded in 2007 and today $185 million in loans have gone to 485,000 entrepreneurs with a 95% repayment rate. 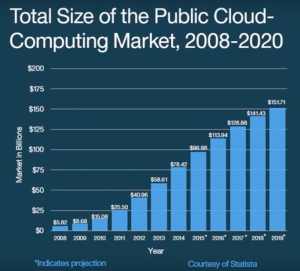 The public cloud emerged, as Amazon Web Services, started in 2006, started to get noticed. The API market was created as microservices came into being. IBM started its Watson project, drawing artificial intelligence out of academia and into the commercial and public sphere for the first time. Friedman’s research pointed to three accelerations that have leaped forward and intertwined to create these sweeping changes; Moore’s law, digital globalization of the marketplace, and Mother Nature. The acceleration of Moore’s law affected not only microchips but in 2007 software, networking, storage, sensing all melded together into something we call “the cloud.” Friedman hates the term cloud which conjures soft and fluffy images and argues it is, rather, a technological supernova that is at the center now of everything we do. 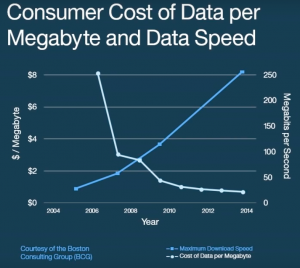 The precipitous drop in data costs helps fuel the acceleration. Underlying the exponential acceleration in technology in 2007 there was a collapse in the cost of compute and storage and it gave us complexity that made complexity fast, free, easy to use and invisible. Just as the physical technologies leaped ahead, he explained, the tech bubble burst, the housing market collapsed and the economy spiraled into depression. The social technologies, regulatory technologies, and political strategies we needed to get the most out of this incredible leap forward in technology all froze. This created a complete social dislocation and Friedman argues we are living in that dislocation. Undoubtedly we as a country are catching up to the practical implications of this brave new world. “You get a release of energy into the hands of human beings unlike anything we have ever seen before,” said Friedman. Certainly, new technologies based on the companies launched in 2007 are emerging every day, new patterns, new disruptions, new APIs, new cognitive machines that have all five senses, new pieces of the middleware to connect all these new pieces. New patterns of project management and, simply, new ways of how business is done. “What an amazing time to be alive,” said Panna Pavangadkar, Global Head of Engineering Developer Experience at Bloomberg, after a session at GitHub Universe on using open-source techniques in project management. She was referencing the fact that Microsoft is now the leading contributor by volume to GitHub, but it applies to the tech universe in general. Processes are being invented, re-invented and re-imagined. “Everything you know about software development is wrong,” said Grady Booch, IBM Fellow and software guru speaking in an interview at World of Watson. You can no longer simply code a program, he said, because there are now parts of your system that you have to teach. And the order in which you teach your system changes its behavior so you have to be very intentional about how you teach the system. This represents a fundamental shift in how we need to think about creating programs. “Neural networks, until you reach the threshold close to the human brain, are not self-explanatory,” Booch explained. But we currently don’t know how to do configuration management of neural networks. And if Booch, who is on the forefront of machine cognition, doesn’t know how to do it, you can bet it’s a nut we need to crack. We may not, as Booch stressed, know what’s coming, but one thing we can be sure of: It IS an amazing time to be alive, to be in tech, and to watch this revolution 10 years in the making, continue to unfold. 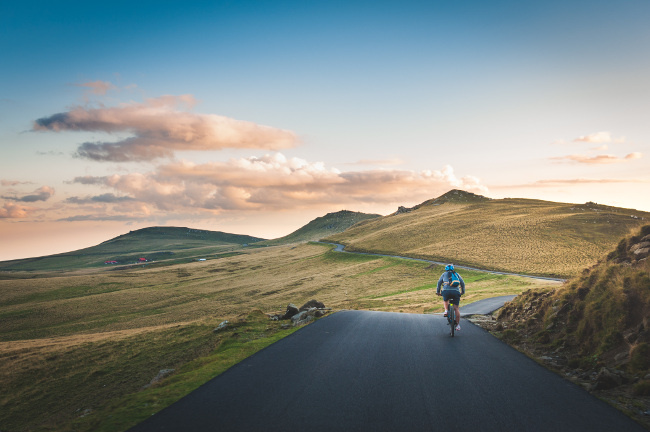 Feature image by David Marcu from Unsplash.